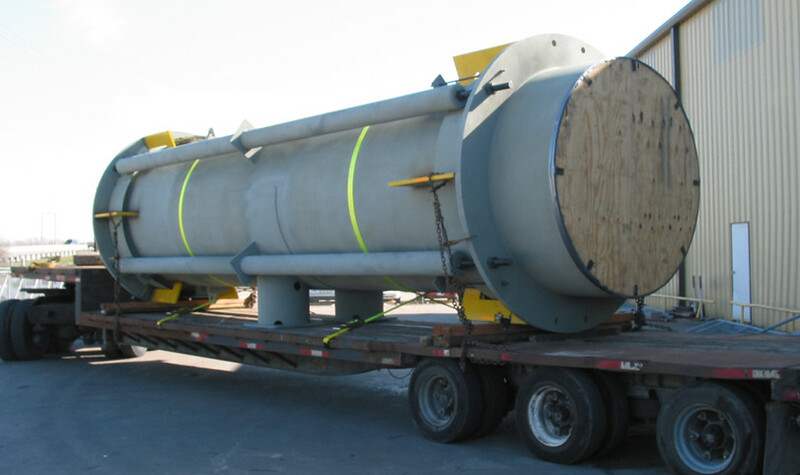 This 36’-0″ long refractory lined tied universal expansion joint weighs 54,000 lb. and has two-ply Inconel® 625 LCF bellows, tie rods, slotted hinges, insulation bags and liner seals. 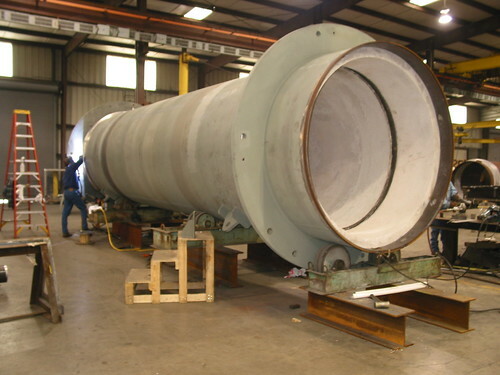 It is designed to operate at 58 PSIG and temperatures up to 1,450° F. The expansion joint was preset for 6” lateral travel and is capable of lateral travel up to 13”.